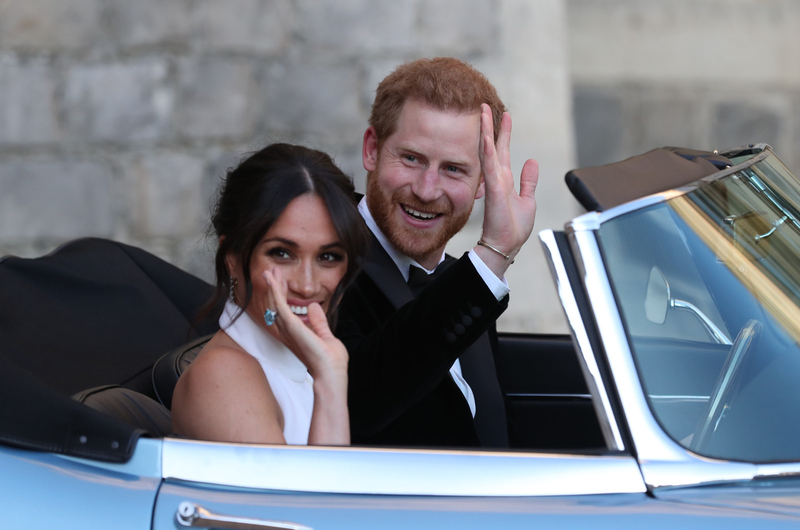 Meghan Markle, the new Duchess of Sussex, showed off her stunning wedding reception dress as she and husband Prince Harry left Windsor Castle for their evening wedding reception at nearby Frogmore House on Saturday Night. The dress is by Stella McCartney, and the official palace press release described it as a "lily white high neck gown made of silk crepe." In case you're curious, Meghan wore baby blue silky satin shoes by Aquazurra to her reception, and had her hair re-styled by George Northwood. 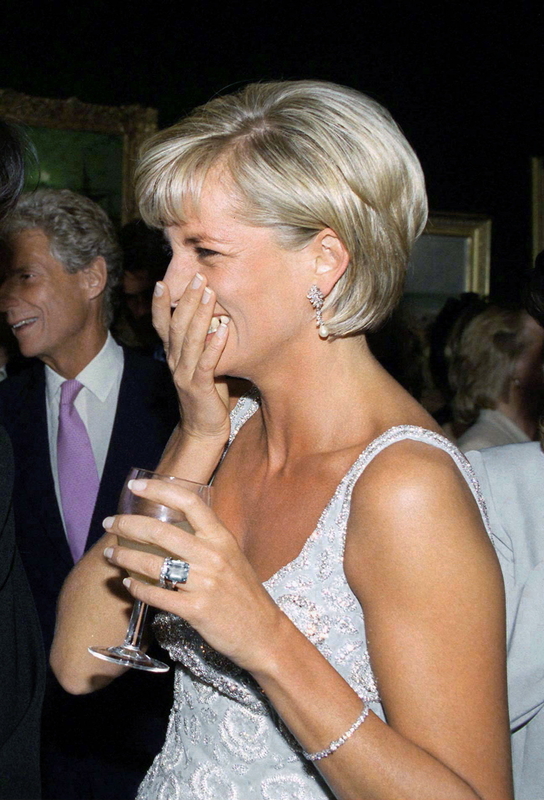 Meghan also wore an aquamarine ring that once belonged to Princess Diana, Harry’s mother, a Kensington Palace spokesperson confirmed to BuzzFeed News. Like a true gentleman, Prince Harry, the new Duke of Sussex, helped his bride fit her dress into the Jaguar E-Type Concept Zero they borrowed to make the drive to the reception. It's not unusual for royal brides to have two wedding dresses — Kate Middleton, aka Catherine, Duchess of Cambridge, wore a different gown to her evening wedding reception in 2011 as well. ICYMI, Meghan wore a stunning Clare Waight Keller for Givenchy gown for the wedding ceremony. Catch up on everything you may missed about the ceremony here!